I finally found that old sketchbook of mine that I was looking for! I’ve digitized it, for ya’ll to see. ~18 years later I’m still drawing the same sort of stuff. This entry was posted in Personal Life, Sketches on July 6, 2016 by Matt Roszak. More armor ideas from Ronja. Which design is your favourite? I’m gonna spoil this: I already put the dark one into the game. 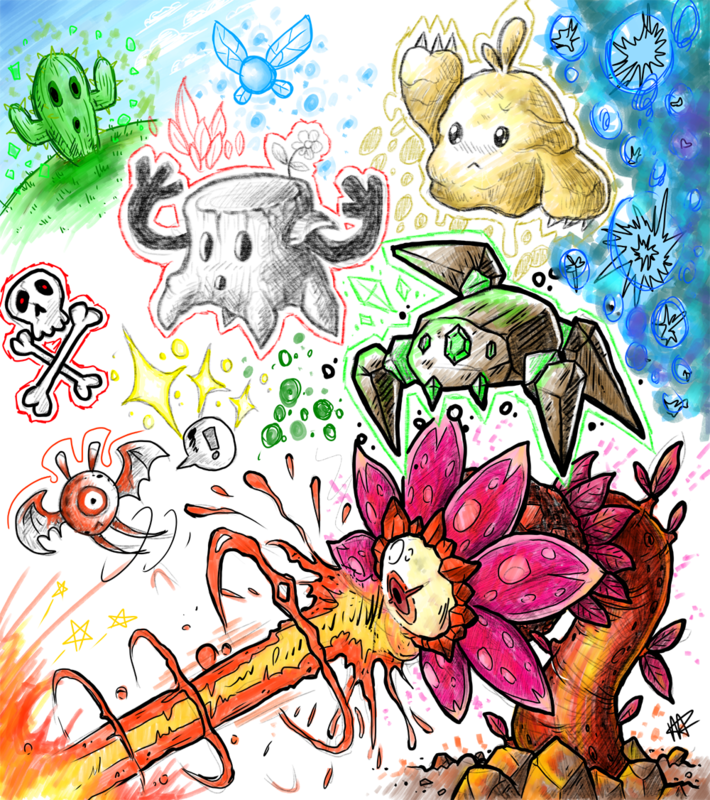 This entry was posted in Epic Battle Fantasy 5, Ronja, Sketches on March 7, 2016 by Matt Roszak. 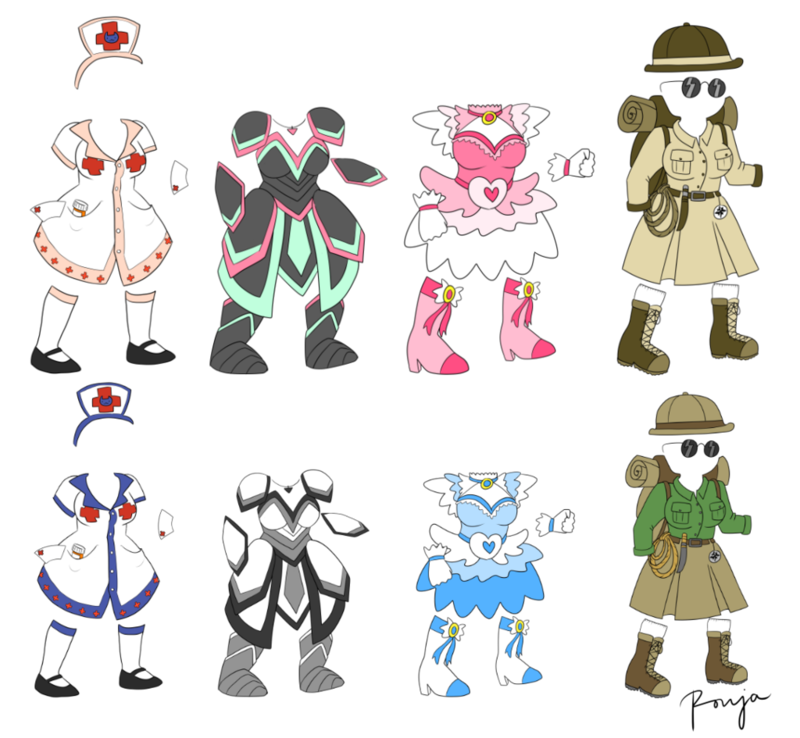 I got Ronja to draw armor ideas for EBF5, since mine in the past haven’t always been the most creative. You can find more of her stuff on DeviantArt, but I’ll also be posting a lot of her work here. 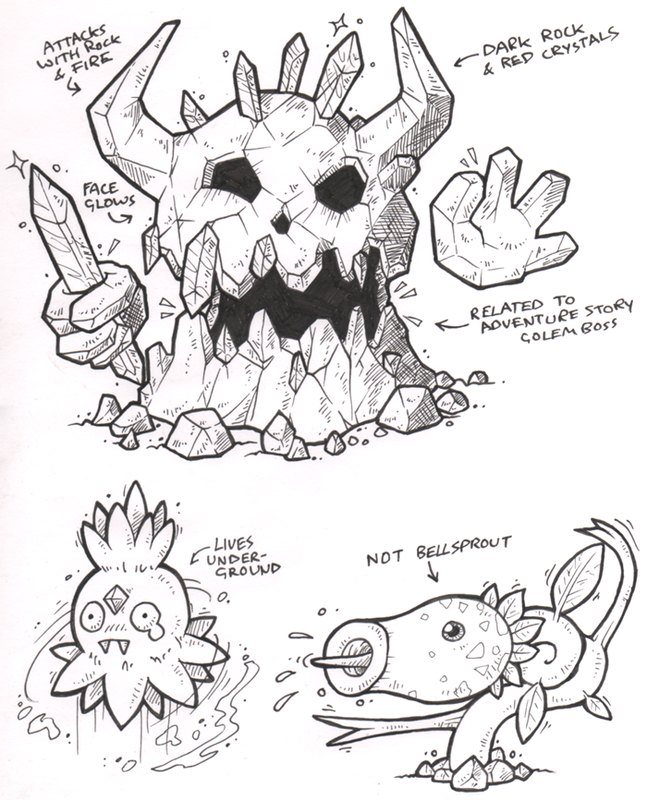 This entry was posted in Epic Battle Fantasy 5, Ronja, Sketches on March 4, 2016 by Matt Roszak. I tried drawing traditional-looking art in Manga Studio and I think it worked really well! I’ll probably be using it for sketches in future, because it’s a lot more convenient than using actual paper. I’m still not quite as good yet, but I’ll get there soon. Best part is how easy it is to add colors! This entry was posted in Sketches on February 19, 2016 by Matt Roszak. I did some practice doodles! 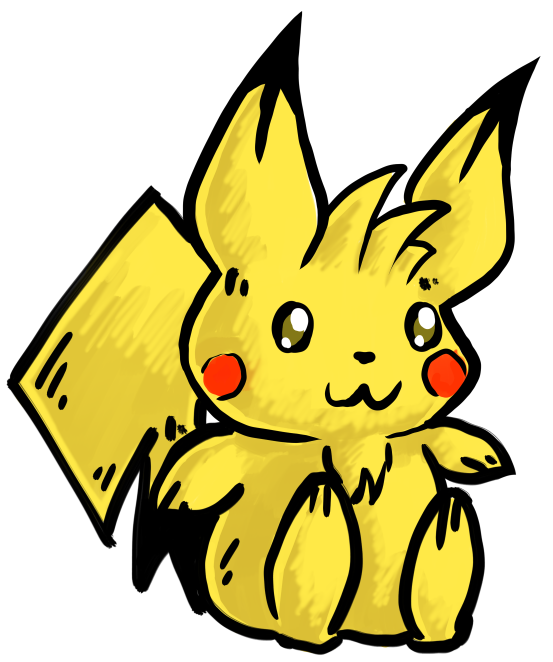 I tried my pen and paper sketching style on the new tablet, and it worked really well! Flash might not be the best program for it, so after drawing the tree guy I drew the Pikachu and golem guy in Manga Studio, which might be what I sketch stuff in from now on. We shall see, but it looks like I can probably quite comfortably replace my traditional art supplies, so that’ll give me some extra space. This entry was posted in Sketches on February 15, 2016 by Matt Roszak. 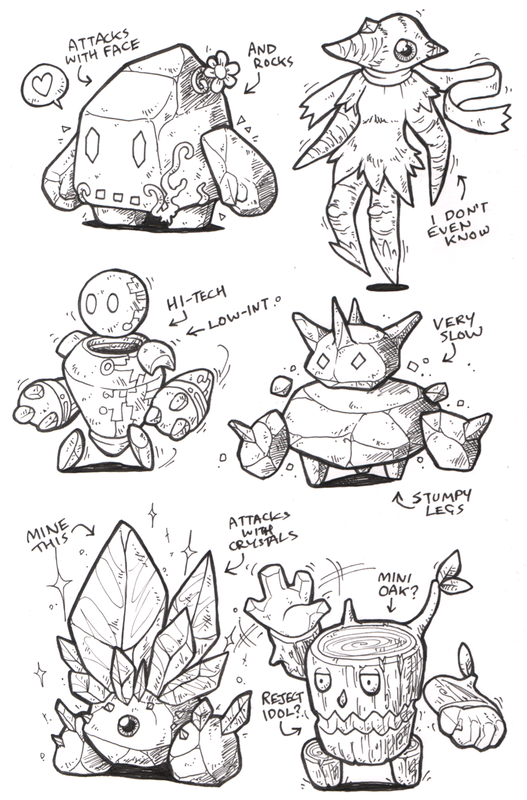 Drew some golems for EBF5! The first one’s the most likely to be used. Not too sure about the rest. This entry was posted in Sketches on November 12, 2015 by Matt Roszak. 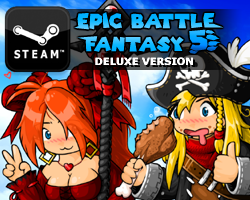 I drew some more dudes for EBF5. 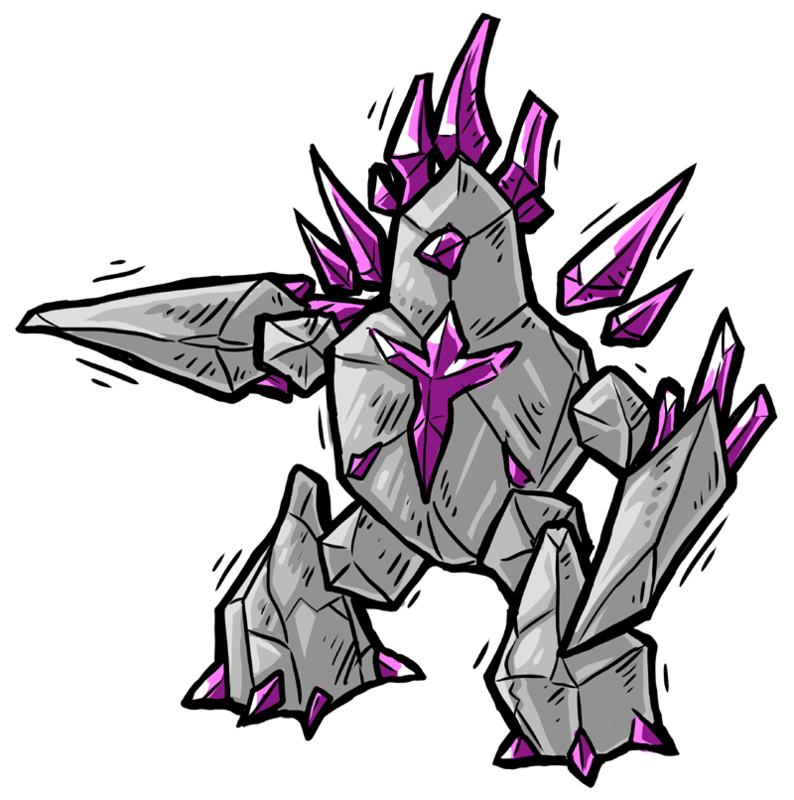 Golem dude could well end up being a boss. This entry was posted in Sketches on October 29, 2015 by Matt Roszak. 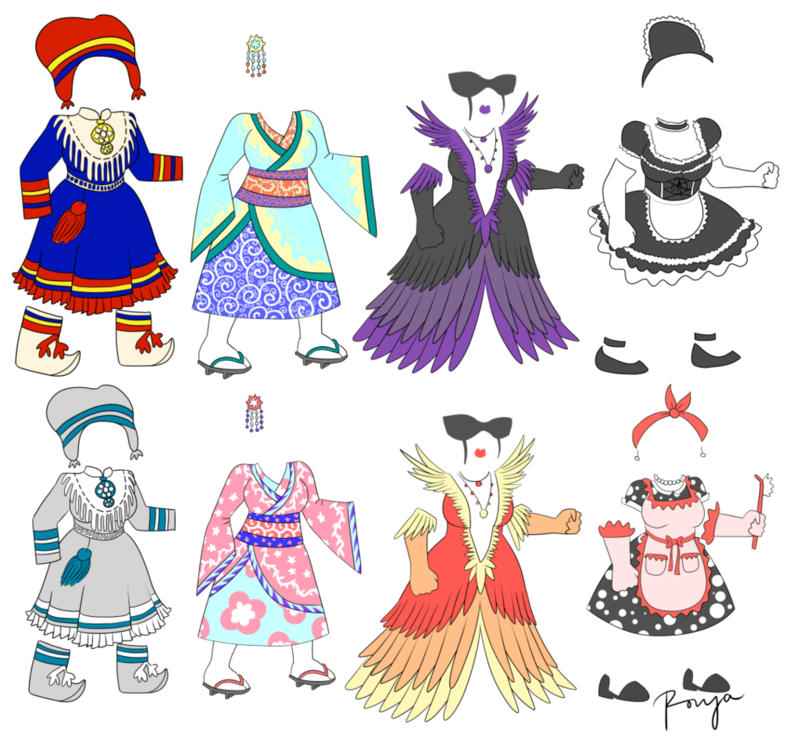 I drew some ghosts for EBF5! 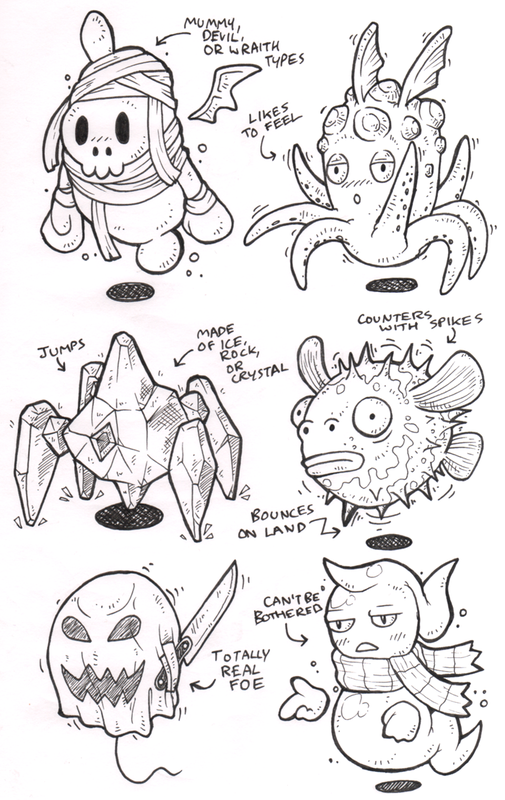 First ghost and rock spider are most likely to make it in. Which one’s your favourite? This entry was posted in Sketches on October 27, 2015 by Matt Roszak. 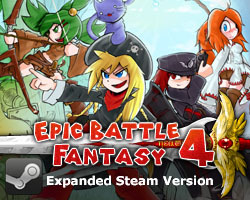 I drew some creepy foes for EBF5! This entry was posted in Sketches on October 26, 2015 by Matt Roszak. 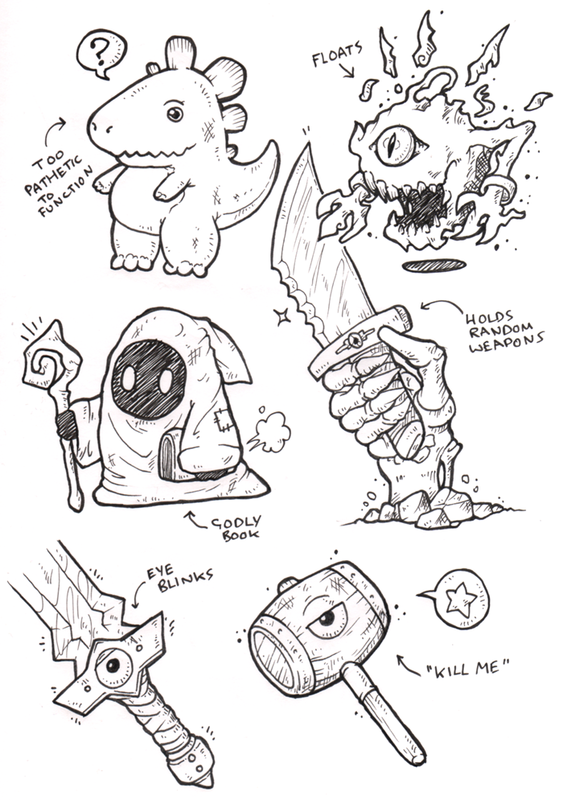 Drew some possible monsters for EBF5! 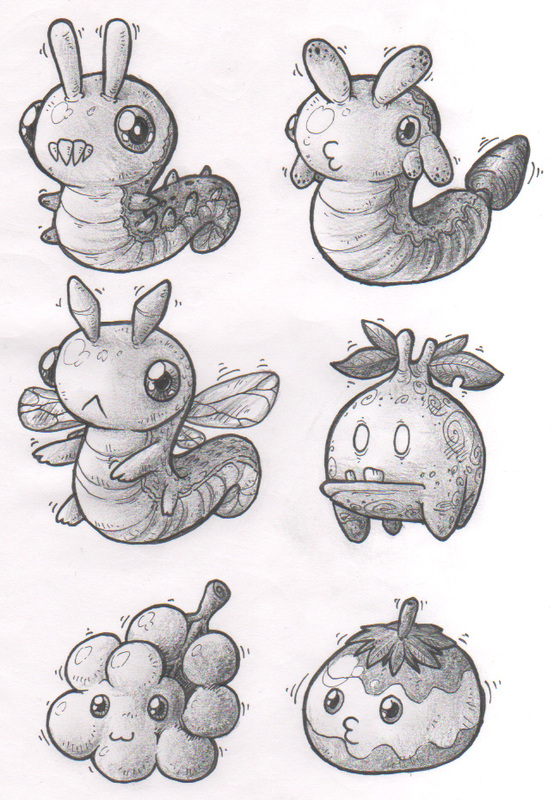 Fruit slimes and caterpillars are super cute. 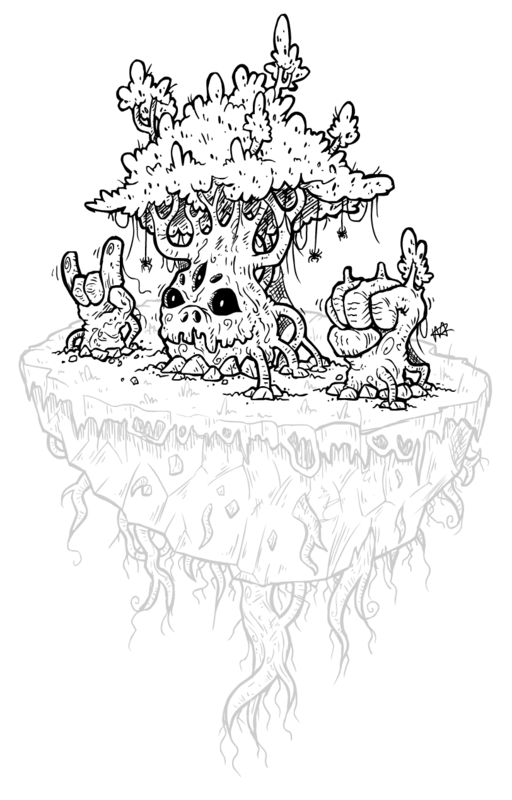 This entry was posted in Sketches on October 2, 2015 by Matt Roszak.